We have seen numerous boycott calls with regard to academic publishers but they have generally been about market power and its exploitation. Today, a more serious boycott call was launched with the claim that some publications are harming science itself — a potentially more serious charge. 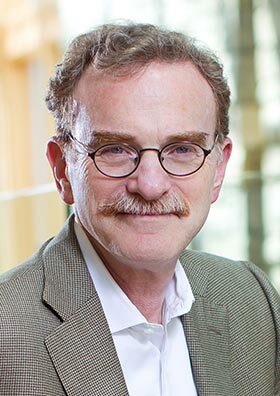 Schekman’s first claim is familiar: he argues that there is a Matthew effect in science with the rich getting richer when it comes to journals. So there is pressure to select on the type of publication rather than just to pursue quality research. Now on the one hand, this claim seems to be aimed at three journals that operate a little differently from others. For instance, they have professional editors rather than academic editors. Thus, they will select papers that will be read by their subscribers not necessarily by scientists — although one has to worry about whether there is anything wrong with that per se. Science is produced for other scientists to be sure but it has a broader mission of dissemination of knowledge as well. Moreover, near as I can tell, the impact factor mentality hits all journals currently as Joel Baum has extensively discussed. In addition, impact on follow-on and commercialised research is surely a factor but Schekman does not appear to have considered the evidence provided by Dan Fehder, Fiona Murray and Scott Stern in this regard. Schekman is concerned that citations are driven not just by paper quality but also by attention. And if attention is focussed on a few journals then that is a problem. Moreover, he claims that those journals restrict the amount of research published which creates more scarcity with regard to attention. He has in mind a situation where more limited content concentrated in some journals leads to more attention to those journals and away from others. This is certainly possible but if attention really is scarce then there is value to curation. If attention is limited — and Schekman must believe this for there to be a problem with “luxury” journals, then open access won’t hurt. Attention will be drawn to those with existing reputations — like appointments at good universities or, you know, Nobel prizes and such. And that really matters as was recently found for the HHMI. So the implication of this is that the Matthew effect will move from journals as platforms to scientist’s themselves. It is hard to see that that is a better state of affairs. From that perspective, Schekman’s boycott looks less nobel. Now there may be insufficient incentives for risk-taking in today’s academic world. But it is hardly clear that the business model of leading journals is to fault. Instead, the tenure committees and lab structure of institutions surely has a greater role. Yes, it seems a bit incoherent, since science thrives on competition in many forms, selection of the fittest in grant writing, student seduction, faculty hiring, and finally journal publication. I think the real problem is that someone *else* made a big-bucks business out of this competition, while restricting public access to work that was publicly funded. If Cell were free, we wouldn’t be hearing all these complaints. But the new internet world allows academics to get out from under this particular and onerous cartel, and it would very much serve the public interest to do so, whether into free-but-selective journals, or into large clearinghouse journals, from which readers will need to get their status and quality cues from some other source. Next PostNext Can you move away from freemium?